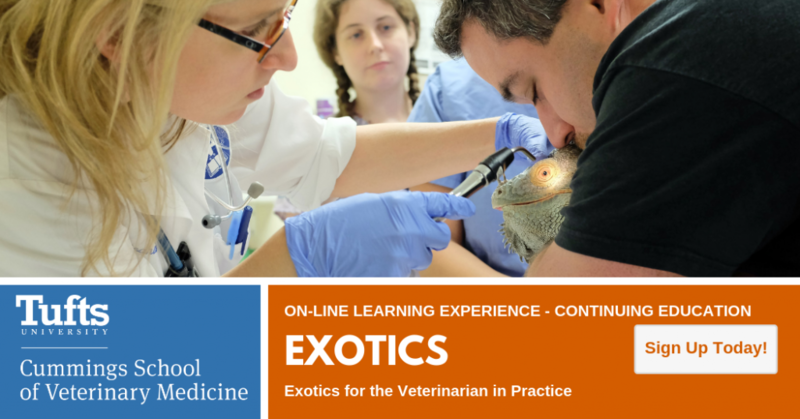 Absorb a wealth of knowledge on exotic animal emergencies provided by top experts in the field with On-Line Learning Experience: Exotics. This collection of online lectures contains rich information that you can seamlessly incorporate into your practice, including issues like small mammal respiratory and avian emergencies, plus much more. 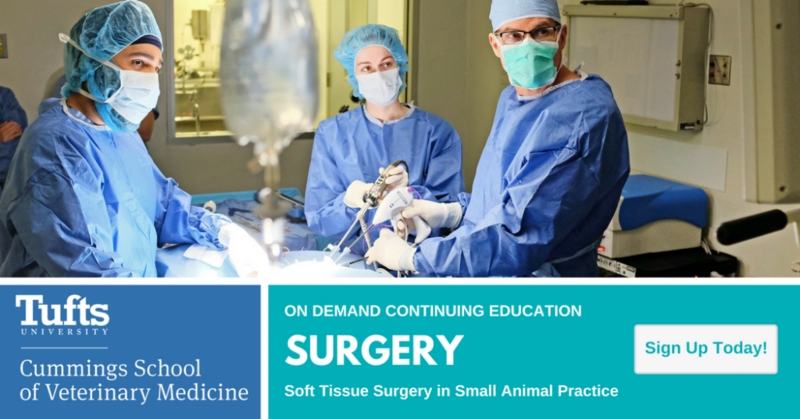 The Webinar Series: Soft Tissue Surgery in Small Animal Practice is a series of ten recorded webinars that are available at your convenience. John Berg (DVM, MS, DACVS) a professor in the Department of Clinical Sciences at the Cummings School of Veterinary Medicine, is the course director. Each lecture is 1 hour of Continuing Veterinary Medical Education credit. CVME certificates are sent via email after successful completion (scoring 80% or higher) of each webinar’s test. 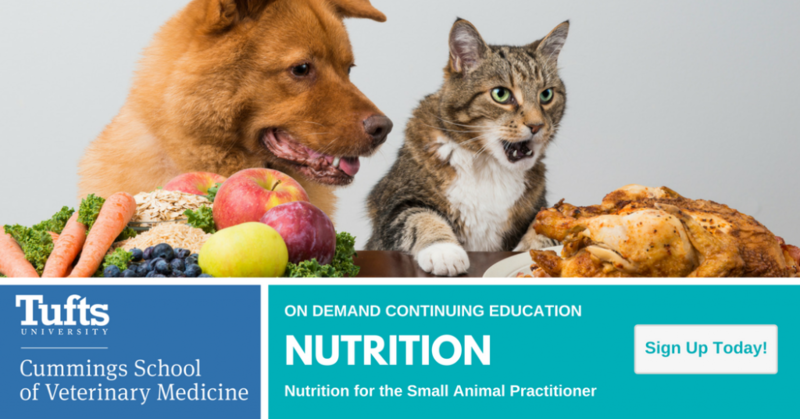 The Webinar Series: Nutrition for the Small Animal Practitioner is a series of four recorded webinars recorded in October 2013. Lisa M. Freeman (DVM, PhD, DACVN) a professor in the Department of Clinical Sciences at the Cummings School of Veterinary Medicine, is the course director. Each lecture is 1 hour of Continuing Veterinary Medical Education credit. CVME certificates are sent via email after successful completion (scoring 80% or higher) of each webinar’s test. 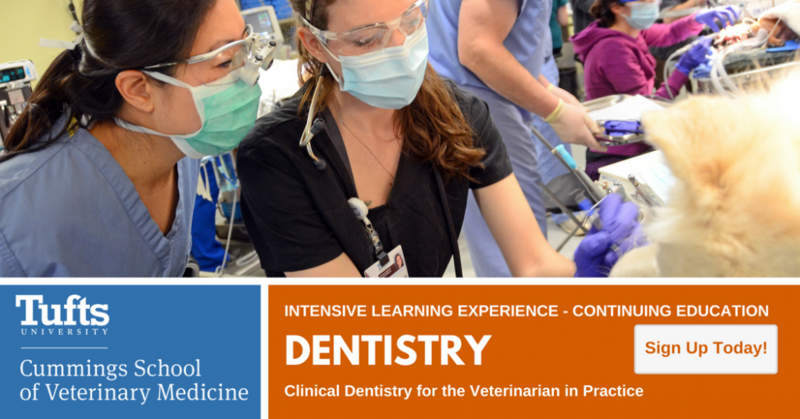 Dive into dentistry with nationally-recognized speakers, William Rosenblad, DVM and Don DeForge, VMD. In On-Line Learning: Dentistry, you will be immersed into this specialty service with an in-depth series of online education lectures, covering topics from advances in oral radiology to guided bone regeneration. Grateful acknowledgement is made to AMERIVET for their generous support of this program.